American School has released online exams for 11 of its popular paper-based courses. American School recently released online exams for 11 of its most popular paper-based courses, giving students more opportunities to learn in ways that are comfortable to them. "Since we started launching online exams in paper-based courses, we've received a lot of positive feedback from students, parents and school officials," American School President Gary R. Masterton said. "This hybrid combines the traditional way of learning with a textbook and study guide with the convenience of doing exams online. Students know their exams have been received and can expect quicker turnaround time than if they submit their exams in the mail." The 11 courses with online exams now available are Carpentry, Chemistry, Introduction to Computers, English 2: Composition and Grammar, General Science, Office Procedures, Physics, Writing 2 (Units 1-4) and the 2014 editions of Physiology & Health, United States History and World Literature. In total, more than 50 of American School's paper-based courses have an online exams option. American School offers online and paper-based diploma programs for homeschooled students and individual subjects to students who are homeschooled and wish to take individual courses for enrichment or to students who attend brick and mortar high schools and need to take courses for credit recovery purposes. Diploma programs cost between $2,100 and $3,600 and individual courses typically cost between $150 and $300. 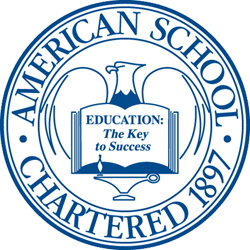 For more information about the American School, call 866-260-7221 or visit http://www.americanschool.org.